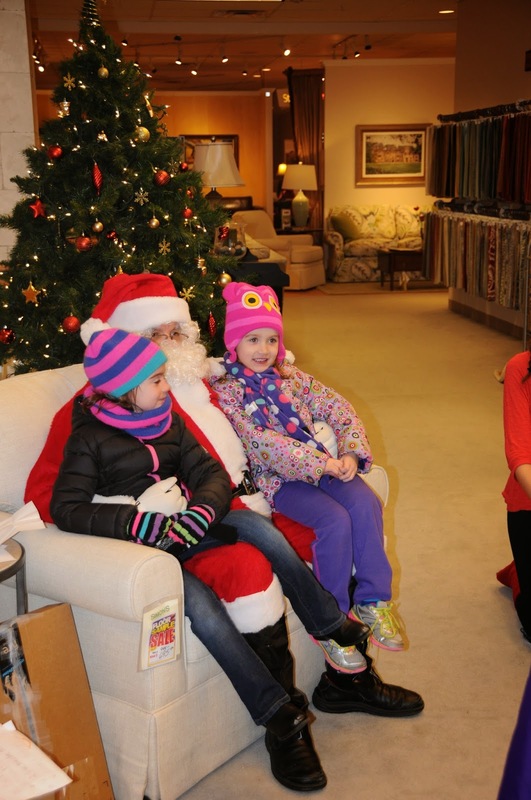 Thursday evening was the FDP's sixth annual Holiday Stroll. 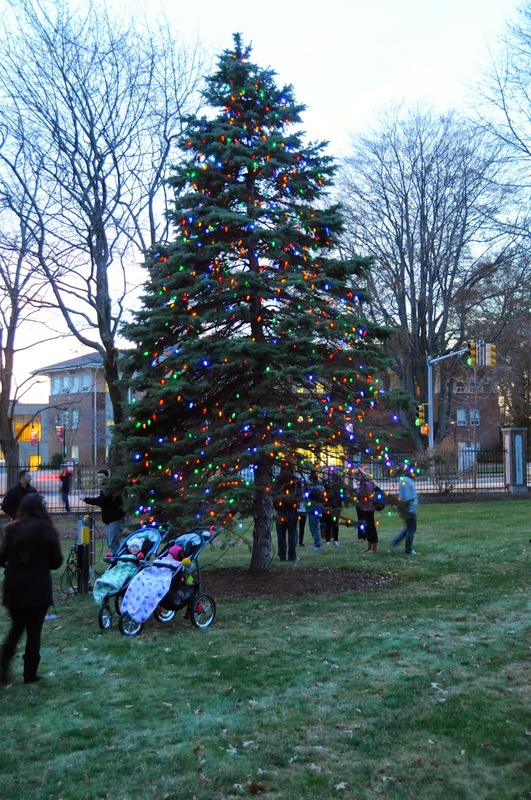 The tree lighting on the Dean College campus kicked off the event, and then visitors took to the streets to discover crafts, activities, musical entertainment, sales, gifts and treats. 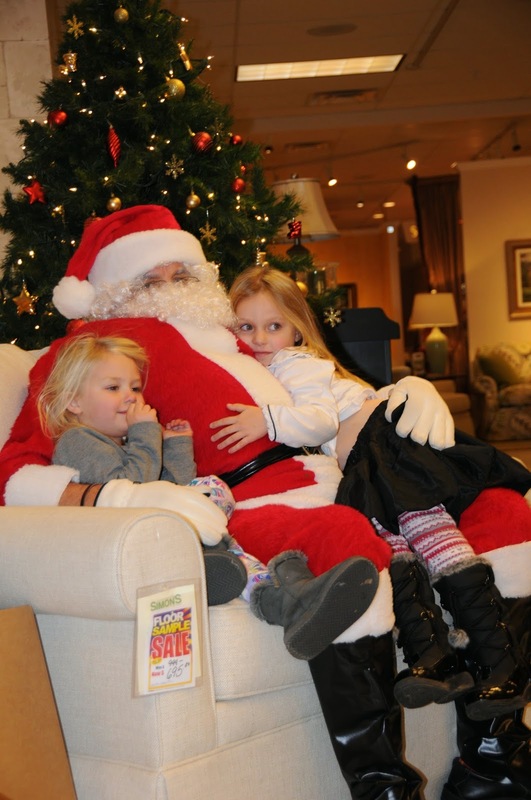 Santa and Mrs. Claus were there, as was Frosty! 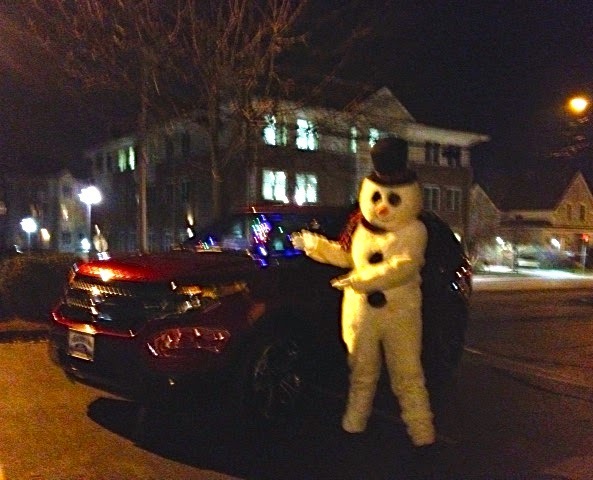 Thanks to our event coordinators Gregg Chalk and Roberta Trahan for organizing this fun event, and to the Franklin Police Department for traffic detail. And a big thank you goes to our sponsors, whose support helped to make this event sparkle and shine! 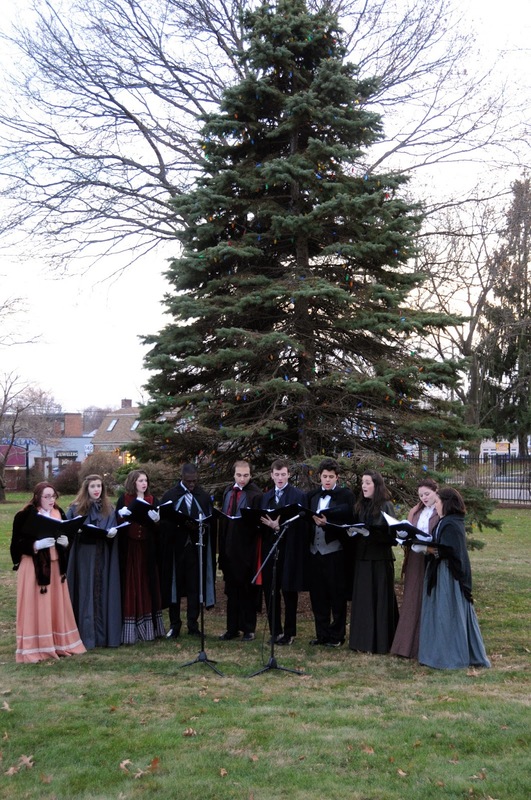 Carolers on the Dean College campus. 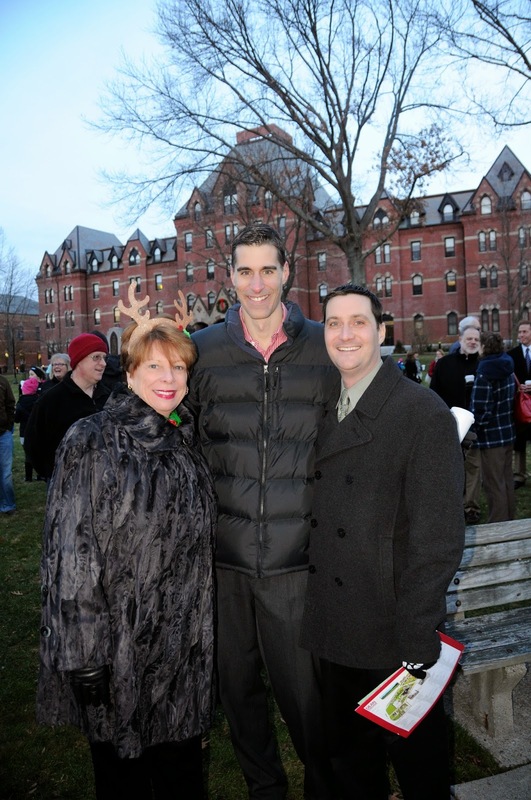 Dean College's Dr. Rooney, co-chair Gregg Chalk, and Dave Drucker. 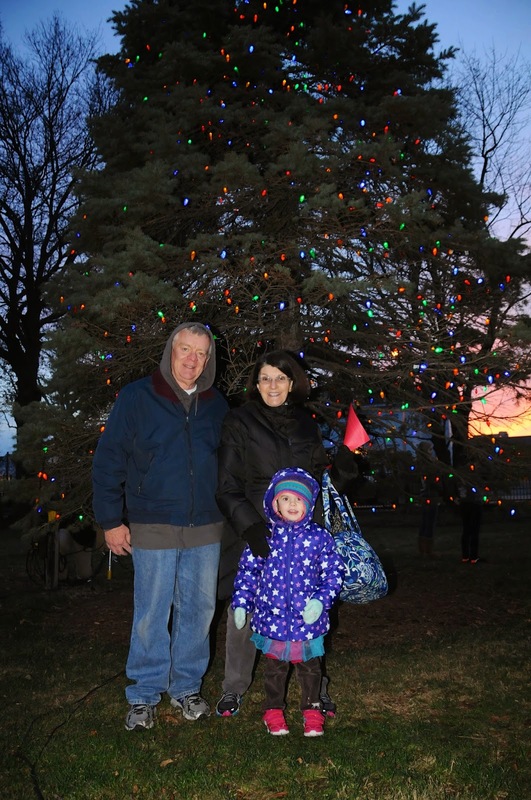 Co-chair Roberta Trahan enjoyed the tree lighting with her family. The DCU mobile bank outside Simon's Furniture. Gingerbread man decorating at Dean Bank. Silver Sponsors D.G. 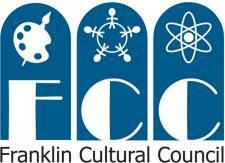 Ranieri Real Estate, Franklin Ford, localtownpages Franklin and Middlesex Savings Bank. Franklin Ford displayed a new car outside Simon's Furniture. Bronze Sponsors Doherty, Ciechanowski, Dugan & Cannon, P.C., Drama Kids of Metro West, Franklin Girl Scouts of Eastern MA, H&R Block, The Law Office of Timothy J. Teehan, Leaf Filter, NEWPRO, Simon’s Furniture, and Vet Med Pet Supplies. Drama Kids of Metro West set up in the Depot Plaza. 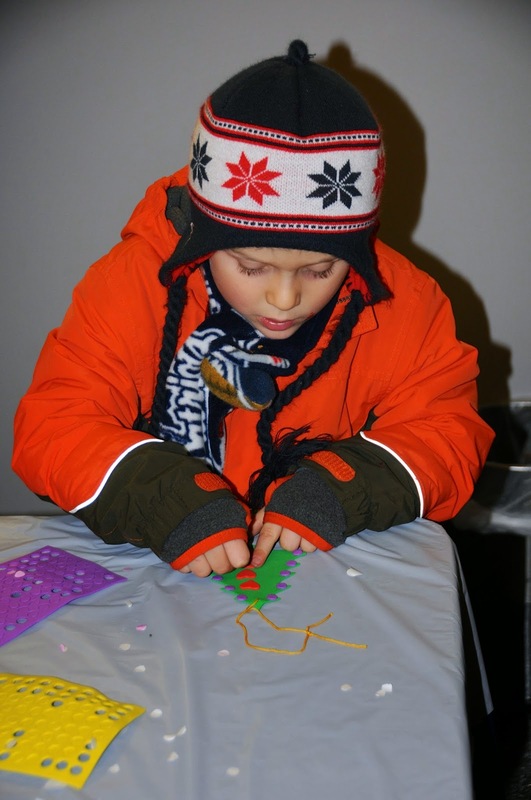 Crafts courtesy of the Franklin Girl Scouts of Eastern MA set up shop in the lobby of Rockland Trust. NEWPRO products displayed at Depot Plaza. Leaf Filter in the Depot Plaza. 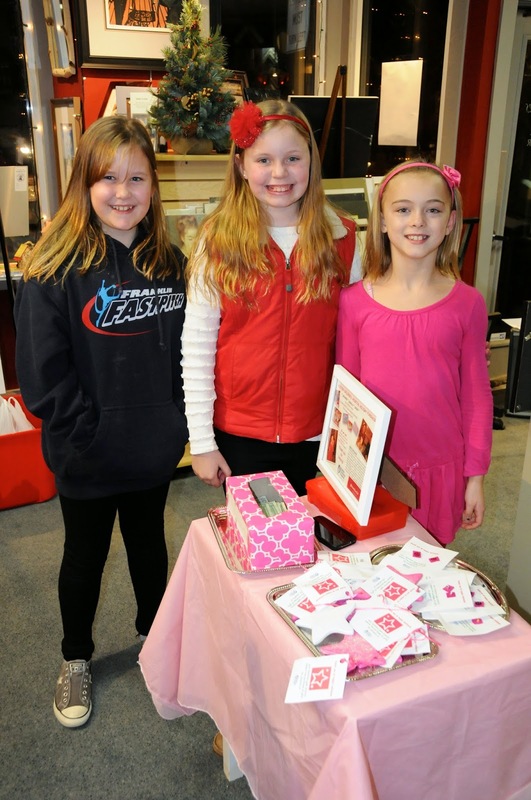 Raising funds for Children's Hospital at Jane's Frames. 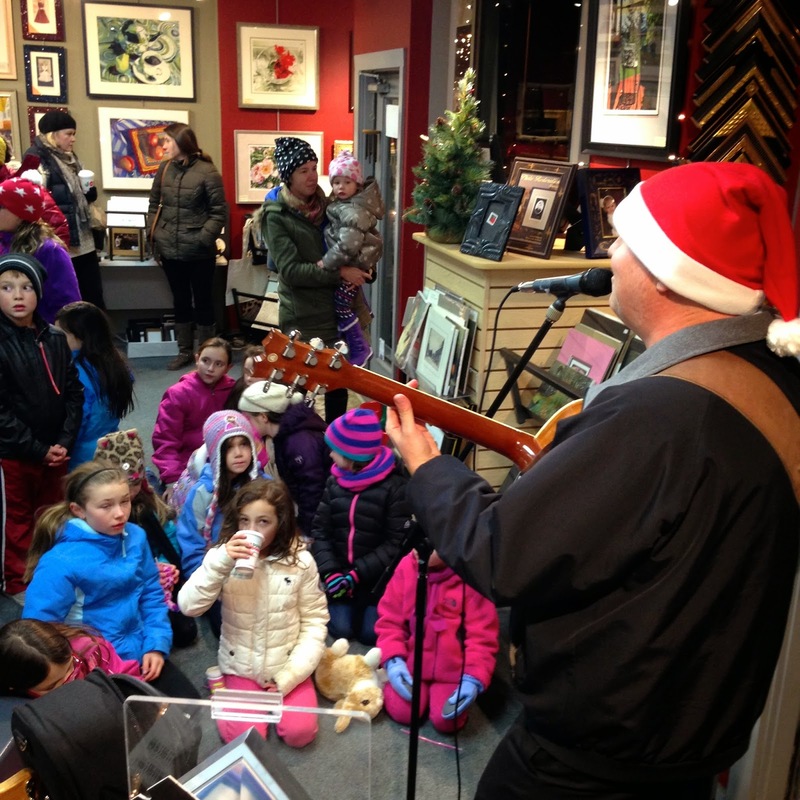 Jamie Barrett performed to a captive audience at Jane's Frames. 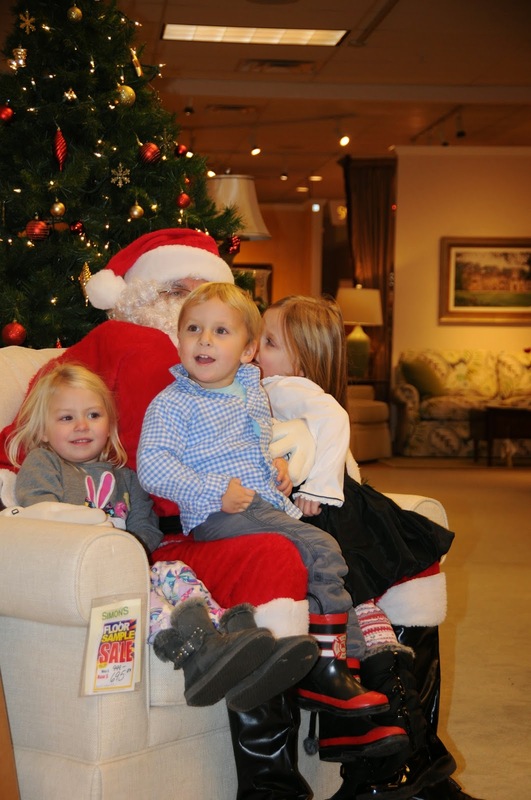 Santa heard wishes at Simon's Furniture and Mrs. Claus greeted kids at the Historical Museum. More fun was had throughout town. 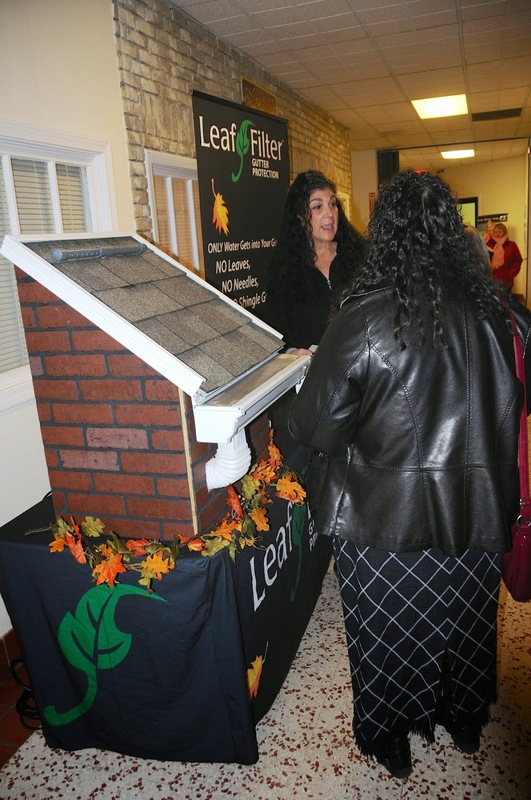 Check out the slideshow (above, right) for more photos from the event. 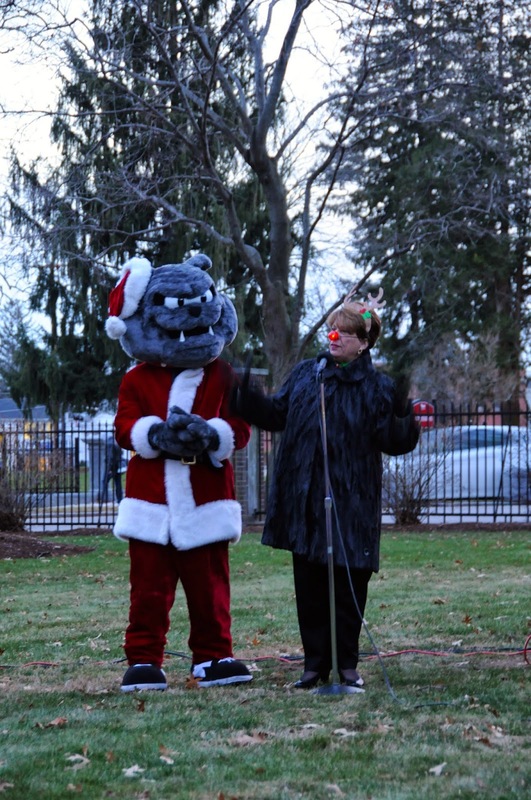 Also find us on Facebook to see more photos, including photos of the many entertainers who appeared.